Now if you use Scholastica Open Access Publishing, and your journal is listed in the Directory of Open Access Journals (DOAJ), you can have all of your articles automatically deposited into the index - get the details below! 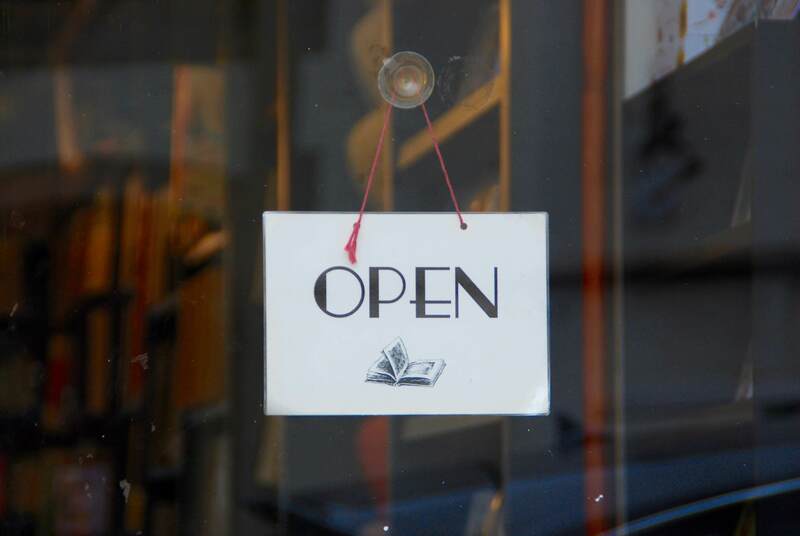 In open access (OA) journal publishing, increasing research accessibility isn’t just about making articles free to read—it’s also about making them easy to find. Among the best ways for journals to get in front of more readers is to be added to relevant scholarly indexes, and the Directory of Open Access Journals is one of the most important indexes to have your OA journal included in. The DOAJ serves not only as an OA journal listing but also a quality indicator, as all journals must meet established standards in order to be admitted to the index. With nearly 12,000 journal members, over 1.2 million visitors every month, and a continually updating stream of journal metadata that’s ingested by all of the major discovery services, the DOAJ is a powerful platform for journal awareness. In order to help journals take full advantage of the DOAJ’s indexing services, we’ve made it possible for those using Scholastica’s Open Access Publishing software to have their articles automatically deposited into the DOAJ. We handle all article formatting for journals, so there’s no extra work for your editors! If your journal is not yet indexed in DOAJ, you can learn how to apply for inclusion on their website. Once you’ve applied to DOAJ and your journal has been accepted, just notify the Scholastica team that you’d like to have a DOAJ content deposit feed set up and we’ll take care of the rest. In the interview below Dominic Mitchell, DOAJ Operations Manager, shares how DOAJ indexing works and the key benefits for OA journals. Can you give a brief overview of DOAJ for those unfamiliar? DM: In brief, DOAJ is a community-curated, online directory of peer-reviewed open access journals. To be more detailed about that, DOAJ lists over 12,000 open access journals, every single one of which has been reviewed several times by a team of editors to ensure that the journal meets a set of criteria which focus on best practice, standards, transparency, and quality. These criteria are captured in our application form and the answers to those are displayed against every journal entry in DOAJ. The way that DOAJ differs from every other list in this space is that we base our criteria on what we consider to be the true definition of open access: the Budapest Open Access Initiative (BOAI) definition, which states that readers must be allowed to read, download, copy, distribute, print, search, or link to the full texts of articles and to use articles for any other lawful purpose. We provide all our services for free, we are 100% independent and we are not-for-profit. Can you briefly explain how the DOAJ integration works? DM: There are two different levels of integration and those are detailed on our API documentation page. The basic level does not require any authentication and this allows you to retrieve metadata about articles or journals, or search articles and journals in DOAJ. Many people connect to this and this has allowed data aggregators, library portals, and other services to fully integrate our content into their products and platforms. It also enabled us to develop some widgets so that people can place a DOAJ search box on their own pages or display search results. The other more complex level of integration is authenticated and requires an API key which is only available to those who have an account at DOAJ. Generally, accounts are only created for those who have journals in DOAJ but, as the API becomes more and more popular, we are seeing requests from 3rd parties or associates, like Scholastica, acting on behalf of journals who also require access to it. Once you have an API key then you need to configure an endpoint in your journal workflow to talk to our API. I am not a developer but I have been assured by our technical partners, Cottage Labs, that it is a relatively simple thing to do! Authenticated integration allows account holders to create or delete journal applications in bulk or one by one, and send or delete articles in bulk or one by one. For account holders or 3rd party service providers working with multiple journals this is a huge advantage. The success of the API has been so great (2018 up to mid-July: 130,804,030 hits; 2017 total: 187,212,674) that it led to a period of instability on the site before we were able to bolster our technical infrastructure to meet the demand. It’s great to know that people are really using this feature. Our site is averaging about 1.2 million visitors every month so just the name DOAJ alone is good for discoverability! What are the benefits of having articles indexed in DOAJ? We’ve only just surveyed them for the first time since 2013 and I think that these results are interesting and reflect changes in the open access arena over the last 5 years. In 2013 it was all about the journal and getting more visitors to the journal website whereas now the focus has shifted to kite-marking a journal and distributing content as far as possible. We haven’t had time to publish any of our findings from the survey yet, so this is fresh off the press! How is DOAJ working to help make OA journals more discoverable not only in DOAJ but also other major discovery services? DM: Most obviously, all of our metadata, both at the journal and article level, can be collected from us for free. We already had an OAI-PMH endpoint, a journal CSV file and allow crawling but it was with the addition of the API that things really took off! The metadata is perpetually available and updated every 30 minutes due to the high change rate on our site. We know that the metadata is taken by all the major indexing services, many library catalogs and portals, and is integrated into many digital discovery services. For a small journal being run out of a university department in Brazil, for example, this is huge. This is the key for them to gaining greater readership and perhaps greater reputation for their journal. Just think how attractive that is, especially when all it’s all for free!